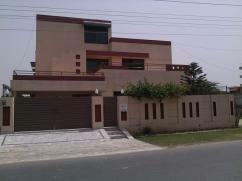 The hostel is near to University of Central Punjab (UCP), UMT and University of Lahore (UOL). Hostels in Lahore were of poor quality before we figured out problems faced by residents who were already living in the hostel. We provide the best luxurious hostel residence in town with a facility of a quality mess. Anytime, you can try our mess food free of cost. Our other facilities include 24 hours generator backup, Internet WiFi, laundry, carpeted clean rooms, ventilated rooms, new mattress, separate cupboard with lock, filtered drinking water cooler, TV lounge, Daily Newspaper, Neat and clean kitchen, parking and security. These all facilities with quality make our best hostel in Lahore city. So we are proudly dedicated to providing you with the best rooms with these services on very reasonable rent. Being best hostel in Lahore we have a complete staff to serve you best. We have a professional cook who makes sure the quality and taste of food, a helper who serves you for meal and laundry services, a sweeper to clean the surroundings all the time, and a security guard to provide you with the best possible security requirements. Staff is very helpful and polite. So you are in the right place if you are searching for the best hostels in Lahore. I am interested in your property Reference No. with title 'Furnished Room With Shearing Available On Rent'. Please send me further details. Thank you.